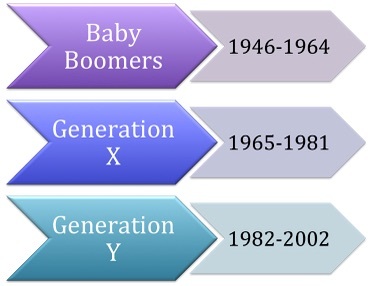 Millennials (also known as Gen Y) are the generation born between the early 1980s and early 2000s. Every generation or age group has their own terminology, or slang that categorizes their formative years. Often those words - made up words or words found in the dictionary with aberrated meanings (for instance, when the word bad really means good)- peppered our speech sometime between the ages of our early tweens or teens until our mid to late twenties. The words listed below, while not used by millennials may be used frequently by earlier generations- Gen X or the Baby Boomers. So what slang would Gen Y turn their nose at? While some of these words may be used at work, typically slang and other transitional language would not be considered professional. Those who use too many of these kinds of words in their business dialogues may not be taken as seriously as they want to be. Learn more about the meaning of these words and slang as it pertains to Gen Y (who don't use these words as slang) and other generations in the article 8 Words That Totally Reveal You Are Not a Millennial. Blog author, Jennifer Kumar provides cross-cultural training for virtual, dispersed teams view our programs section for more information.